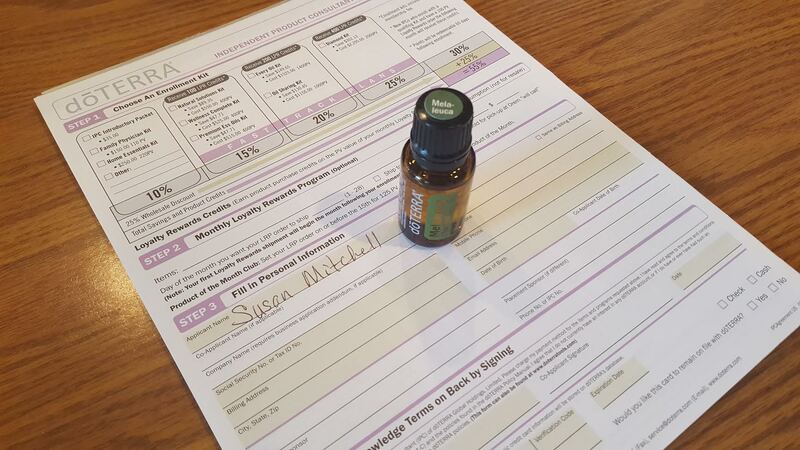 Home » Wise Caregivers » My doTERRA Story Began with One Bottle of Melaleuca! Two of my nephews team-taught the first doTERRA Essential Oils class I attended. I went to support them saying upfront: “Don’t tell me about the business.” I’d had a little experience with essential oils. I knew they worked. Actually, I needed another Melaleuca and I liked the 25% wholesale discount idea so I enrolled. WHAT A MISTAKE! Not that I enrolled, but how I enrolled. Yes, yes. I cringe when I think of it. I paid a $35 membership fee and bought just one bottle of oil! All the starter kits (they have one for every budget) are discounted big time. I could have saved so much! LEARN FROM MY MISTAKE. When you enroll in doTERRA purchase the largest kit you can afford. I was doing the “business”? It was so easy. How shocked and delighted I was when my first unexpected paycheck came in the mail! Yes, DoTERRA pays me cash to advertise for them! Now I earn the top-of-the-line oils I need by sharing them with others. Oh, I’ve made plenty of mistakes along the way, but because of them I’ve learned what NOT to do. I am now prepared (after really good training) to help YOU avoid such pitfalls (like how to position your team and such). I love this company, its pure products, and its honorable leadership. Well, that’s my story. Click below to learn doTERRA’s story. Great Story, so glad you joined and thankful you are helping us “not make some of the same mistakes. Thanks for all your great example and training!